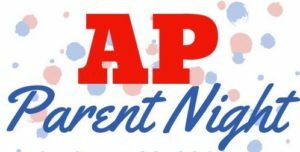 Harmony School of Advancement will host Advanced Placement (AP) Parent/Student Night— an informational event where parents can learn more about AP courses at HSA. The event will be held from 6 to 7:00 p.m. on Thursday, January 31, at Harmony School of Advancement 1st floor cafeteria. Which AP courses should my student take? How can my student prepare for the rigor of AP? and much more & all your other questions …. We want your feedback! Make Sure Your Voice is Heard!